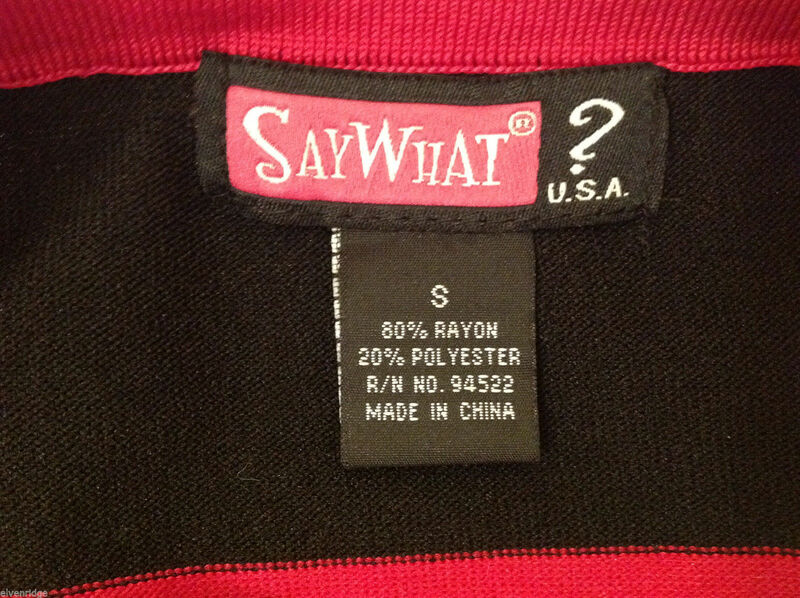 This is a Say What? 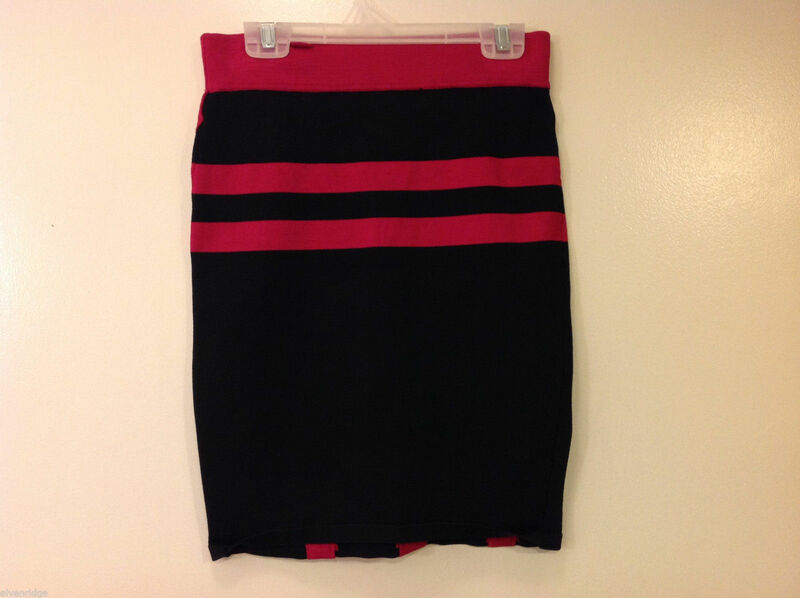 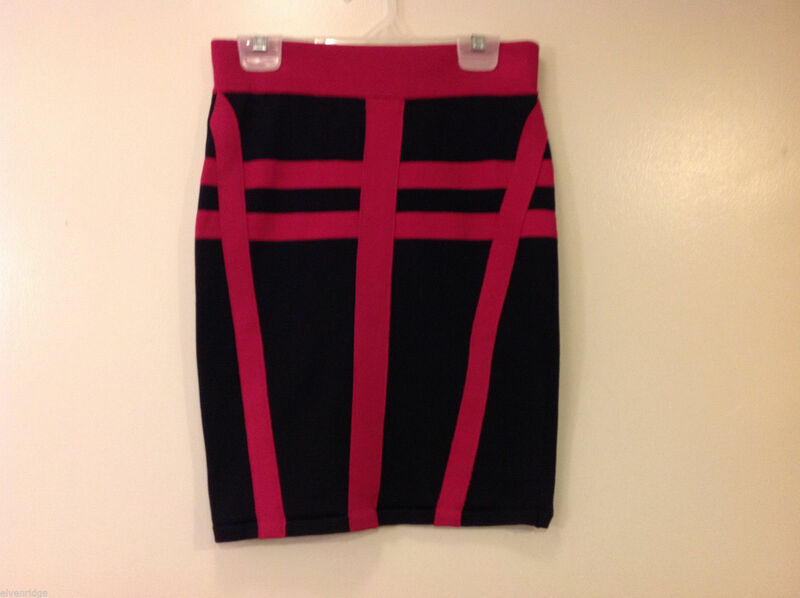 women's size S skirt. 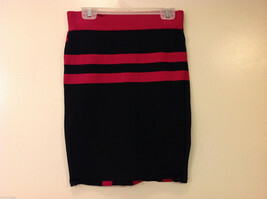 Crafted from an 80% rayon, 20% polyester blend, this stretchy knit skirt has the comfortable feel of athletic apparel but the "caged" look of clubwear. 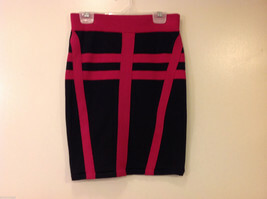 It features fuchsia pink contrast bands overlaid against a black base with a fitted mini, bodycon silhouette. Note that it has indentations in the waistband due to long-term hanger storage (see pictures). 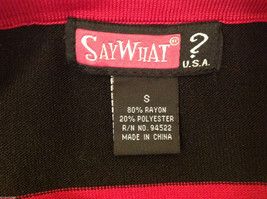 Please carefully check the following measurements to ensure the correct fit! 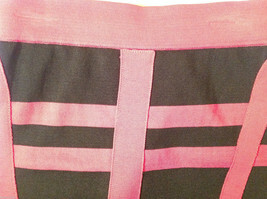 Widest width (across the bottom): 13.5"